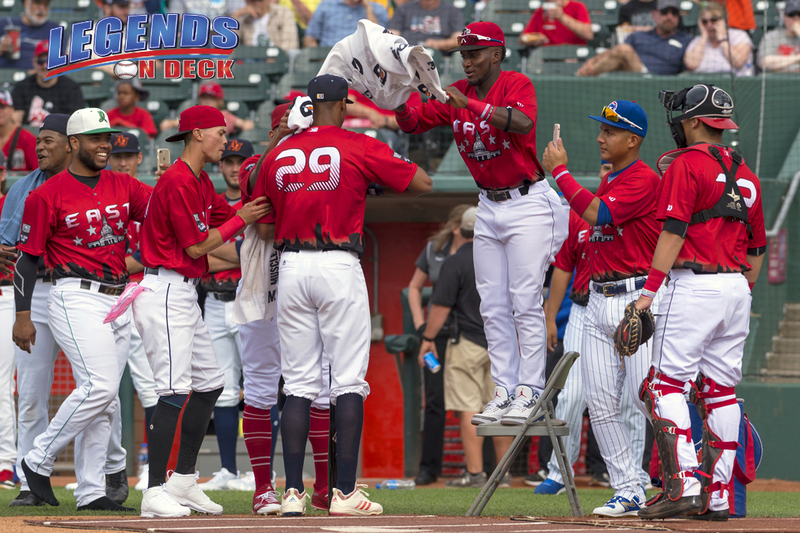 With the Major League All-Star Break looming and the Future’s Game on the horizon, Legends on Deck will be bringing you our Midseason top 10 prospects on both the pitching and position player side. Today we start with each of our top pitching prospects. The first overall pick in the 2018 draft by the Detroit Tigers is a well-developed SEC arm. Mize’s mid 90’s fastball is coupled with what can already be described as major league ready secondary stuff, especially the splitter. He is able to command every pitch in his repertoire. When it comes to pitching prospects, command is huge for me so get ready for that trend on this list. The 2017 third overall pick is giving the Padres exactly what they were hoping he’d bring to the table. Gore turned 19 just this year and is nearly three years younger than the average competition in the Midwest League. Still, he has dominated when he’s been on the mound while striking out over 10 per nine and posting a FIP of 2.81. Not to mention he has allowed just one homer over 31 innings. The stuff is great for a 19 year old with just 52 professional innings and the pitch that has me most excited is the changeup. It is already an above average offering, but has the potential to develop even more. When he can consistently hit his spots, the fastball/change combo can be devastating. With all the Braves young pitchers, especially those getting their shot in the big leagues as of late, I feel like Wright goes under the radar at times. The fifth overall pick in the 2017 draft was virtually unhittable in rookie ball and High-A last season. His average against has gone up in 2018 at Double-A, but he has a respectable 3.35 FIP and he is striking out nine per nine innings. Standing 6’4 and weighing in at 200 pounds, Wright has the prototypical pitcher build. His mid to high 90’s fastball is made even better by his strong breaking pitches, each of which he can throw for strikes. Surprised to see Kopech so soon? Obviously I’m not as high on the White Sox fire baller as most. I love velocity as much as the next baseball fan, but it doesn’t matter if you can’t find the strikezone. With that being said, we’ve seen Kopech when he is on and we know how good he can be. He is nearly unhittable with that triple digit fastball and the only reason he isn’t higher on this list is the walks. In Triple-A this year, he is walking more than six batters per nine innings. I do think Kopech’s mechanics can be inconsistent at times as his plant foot doesn’t find the same landing spot repeatedly. My opinion is that folks fell in love with the fastball too soon. Kopech will certainly get his shot at the bigs as the White Sox rebuild comes to an end, but if he can lock in the command, he can be one of the top pitchers in the game. I’m higher on Keller than most people are and a lot of that has to do with his floor. If I had to pick one pitching prospect right now to gamble on having a long, productive career, it would be him. (Yes, I’m aware of the injury history). The Pirates number one prospect has that command I love so much and he has three very developed pitches. His mid to high 90’s fastball is complimented by a pitch that is clearly a curveball, but has a little more sharpness to it than most. He can also throw a good changeup for strikes. Opening the top five is an 18 year old that projects to be a front of the line starter in a few years. When the Reds made Greene the second overall pick in the 2017 draft, he wasn’t a full time pitcher just yet. Now that the Reds have dedicated him to the mound, he is only going to get better. Another triple digit fastball highlights a solid repertoire that also features a pretty good slider for a guy his age. Greene is cruising through the Midwest League at the moment as he is striking out more than 11 and walking less than two per nine innings this year. A 3.47 FIP tells a much better story than his 4.69 ERA. Our top four features two pitchers that are currently on the shelf thanks to Tommy John surgery, both of which were more than likely going to be contributing in the big leagues this season. Tommy John surgery doesn’t scare me away from arms as much as it used to and for that reason, among many others obviously, Honeywell is my number four pitching prospect. The 22 year old righty throws every pitch under the sun, but he is best know for his screwball. Honeywell has breezed through the Rays system and after a reasonable amount of rehab time, we may see him in the bigs late in 2019. He has a developed changeup, which I love in a pitching prospect. He already has good command, but with a little more experience he could throw all six of his pitches for strikes consistently. If I’m the conductor of the Mitch Keller hype train, I’m driving the Sixto train on my off-days. At six feet tall, you’d probably peg Sanchez as a “finesse” guy and you’d be right… kind of. He has the command and feel for all of his pitches like a finesse guy would, but there is one big difference, the dude throws gas. He touches triple digits easy and the fastball has some great movement on it. Sanchez hasn’t been a full time pitcher for all that long so the Phillies number one prospect should get even better. Puk is the second of the top four that is on the shelf with TJ, but if he returns to form, there aren’t many better than him. I love the high 90’s fastball with the 6’7 frame from the left handed side. His delivery presents a tough angle for lefties and the heater rides in on righties. Couple the dominating fastball with an MLB ready changeup and a hard slider, and you’ve got a guy ready for the show. As soon as Puk comes back and gets through his rehab, he should be in a spot to improve the A’s rotation immensely. Whitley recently suffered an oblique injury and he is also coming off of a 50 game suspension, but he may have one of the highest ceilings in the bunch. The righty stands 6’7 and he looks every bit of it when he reaches way back in his delivery. The high 90’s fastball and exceptional changeup (again, major plus in my book) are made even better with two plus breaking pitches. Add in the great command and Whitley has certainly earned the reputation as the top up and coming pitcher. He is way more progressed than the average 20 year old. Hope you enjoyed our LOD top 10 pitching prospects. Questions, comments, disagreements, let’s hear it in the comments! Be on the lookout for the top 10 position players on Monday.